In July 2018, the trade war between the United States and China went live. The war of words which saw threats, posturing, and “nudges” to impose tariffs on goods traded between the United States and China became a reality. The US unilaterally imposed 25% tariffs on US$34 billion worth of Chinese imports as a response to the perceived Chinese “unfair trade practices” and thief of intellectual property. China promptly responded in kind with 25% tariffs on US$34 billion worth of US imports. At the time of this publication, the US has imposed heightened tariffs on Chinese imports worth US$250 billion, whilst the Chinese retaliated with tariffs on US imports worth US$110 billion. China has also filed two complaints before the World Trade Organisation (WTO) against the US. The US has further threatened China with tariffs on an additional US$265 billion worth of Chinese goods. What does the trade war mean for Thailand? The outcome of a trade war is difficult to predict. Globalisation has resulted in national economies becoming intricately intertwined and linked. Modern business supply chains are complex, and involves multiple business entities stretched throughout various geographical locations. Attempts to map the precise economic costs and results of tariff imposed on hundreds of products are extremely difficult – if not impossible. From a macroeconomics perspective, Siam Commercial Bank (SCB) suggested that, at least in immediate horizon, Thailand may benefit from the US – China trade war. SCB noted that Thai goods such as plastics and ethanol may stand to gain a windfall as China seeks alternative supplies which have previously been satisfied by US imports. In the medium term, in an environment of rising interest rates, a sustained trade war between two of the world’s largest economies risks dampening global economic growth. With exports accounting for approximately 70% of Thailand’s annual GDP, Thailand is highly vulnerable to slowdowns in the world economy. In the long run, the economic effects of the US-China trade war may be muted. Trade from countries outside of China and the US will fill in the transactional “void” created by the heightened tariffs. Businesses and consumers in China and the US will adjust their consumption patterns accordingly. How export dependent economies like Thailand fare in this “brave in world” depends on a combination of geo-political fortitude and astute government policies. What are the opportunities for Thailand? Businesses are dynamic and fast moving. Even as the threat of a trade war looms, Chinese manufacturers were exploring remedial measures. This author has spoken to several Chinese companies that pro-actively scouted for new production bases in Southeast Asia months before the US tariffs came in effect in July. Thailand is high on the Chinese’s list of contenders for such relocations. Thailand’s close proximity to China, reasonably developed logistics and industrial infrastructure, stable economic environment, open trade relationships with most export markets including the US, are key attractions to Chinese investors. 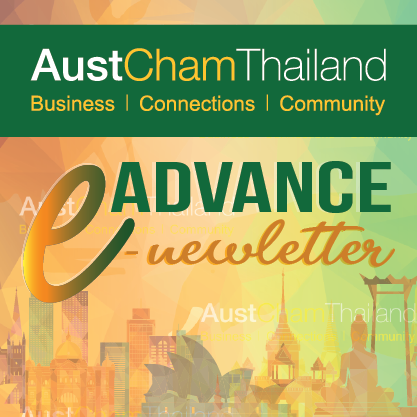 With the right type of investment incentive policies, Thailand can expect a new wave of Chinese investors seeking to relocate or re-configure their production supply chain to tackle the US tariff barriers or source for alternative supplies into China. This new source of foreign direct investment could help drive Thai exports even when the global economy might be showing signs of slack. The businesses are mostly small and medium size enterprises (“SMEs”). Their individual investment appetite is not high. An attractive investment policy should not require a high minimum investment threshold. Though much smaller in scale when compared to well-known Chinese MNCs such as Lenovo, Tencent or Alibaba, SMEs are numerous and could collectively result in significant volume of foreign direct investment. SMEs are fast moving. The time it takes to move from idea to implementation may take only a few months. Tax incentives are nice to have, but not crucial. Investment promotion policies often focused on tax incentives as a means to reduce the time it takes for businesses to recuperate their investment capital. Such policies might be important for large scaled investments, but not necessary for SMEs. SMEs, often privately owned, do not have to concern themselves about financial performance on paper. In other words, they are used to do the math on the investment without factoring in tax incentives. Investment models that focus on cost reduction through shared resources, sense of investment security, and community is critical to investment decisions. SMEs generally do not have the resources to hire multitude of advisors to help them navigate the complexity of a new business environment. For SMEs, community is the source of information and support when investing overseas. Furthermore, operating in a community of compatriot investors allow SMEs to achieve cost efficiencies through shared resources such as infrastructure investments and human capital. Investment policies seeking to attract SMEs should encourage and foster clusters and investment communities. Chinese speaking human resources is essential. Chinese SMEs tend to be monolingual. Chinese language enabled Thai personnel are critical to bridge the language gap and to allow Chinese investors to operate their businesses in Thailand. With a deficiency of Chinese proficient labour force, and time taken to trade such a workforce is lengthy, investment policies should think about stop-gap measures to facilitate the employment of bi-lingual foreign language enabled personnel to work in Thailand. What are the threats for Thailand? Trade circumvention or the falsification of product origin are potential perverse outcomes of a trade war. These illicit practices pose a significant threat to Thailand’s export sector. Whilst many Chinese businesses are seeking legitimate means to address the adverse effects of the US – China trade war, there are unscrupulous operators or opportunists that will seek to exploit legal enforcement loopholes to evade tariffs. The US has imposed tariffs on hundreds of Chinese imports, and such tariffs effective only on goods originating from China. Chinese manufacturers could – legally – bypass US tariffs by relocating their production bases so as to change the product origins. Thus, setting up manufacturing facilities to Thailand could qualify the goods for Thai origin if the production processes are deemed sufficient to confer originating status. This “Thai” product may now be exported to the US without being subjected to the heightened tariffs. However, investment into a new manufacturing facility takes time, effort and money. Some business operators may find it enticing to simply falsify Chinese made products with Thai origin. Such attempts usually involve transhipping Chinese goods through Thai ports and “re-dressing” the products as having been manufactured in Thailand. These goods are then re-exported to the US and declared as Thai products. If Thailand does not take measures to guard and enforce against such trade circumvention practices, there is a strong likelihood that the US, having caught on to such practices, will move to impose anti-circumvention measures against Thai exports. Such measures could include increased cargo inspections at US ports on Thai imports or demands for further documentary proof on origin during import clearance into the US. The end result will be higher logistics cost and longer lead time in cargo deliveries between Thailand and the US, resulting in a loss of competitive edge for all Thai exports.